We know that you are busy doing day-to-day activities – be it at home or in the office – and we want to take the chore of residential HVAC maintenance off your full hands. This is why we created our residential preventative maintenance. We will help you maintain the best performance for your air conditioning and heating units, ensuring that they work efficiently for a long time. Even if you only have a small budget, you can still have the best residential preventive maintenance for your HVAC unit. We will be here to help you without any inconvenience. An A/C unit can be a large investment and an extensive residential preventive maintenance can help you manage all your costs related to your HVAC unit. Usually, there can be a lot of expenses – repairs, check-ups – but with our maintenance package; your fees can be reduced significantly. 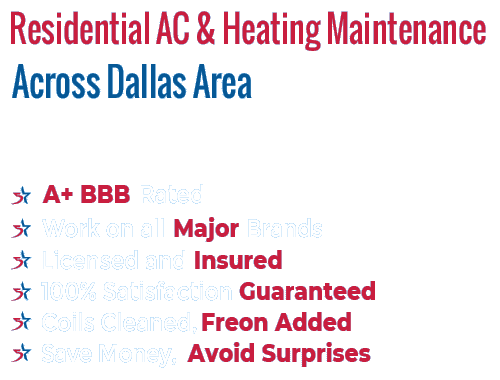 Our residential preventive HVAC maintenance for your home includes a lot of great benefits. For example, we provide a 100% labor coverage for one or two maintenance visits a year. Also, 10% of the costs of materials and parts necessary for repairs are removed. We even repair and replace the worn components of your HVAC unit. Plus, we reduce the price by 10%, if the need to schedule a visit between service calls arises. For our club members, we offer special priority services! Because of our residential preventive maintenance, the life of your HVAC unit can be extended. Lack of preventive maintenance can inevitably result to premature replacement of your HVAC unit, which is heavier to anybody’s budget. So, call us right away and avail of our preventive maintenance. Our highly-experienced technicians are experts in the field and will give you the best long-term results for your AC unit. Usually, HVAC units don’t break and fall right away. This does not mean that they do not need maintenance. If you observe carefully, HVAC units tend to lessen in terms of efficiency and performance as time passes. As a result, your energy bills will go up without receiving the cooling or heating you are paying for. Get rid of this problem by availing residential preventive maintenance from our company. With maintenance, you remove all issues from your HVAC unit and therefore, save more money. 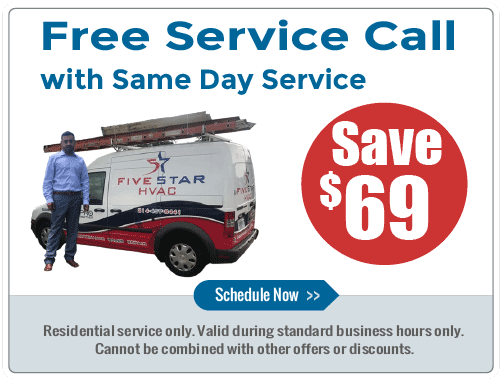 This service is designed for residential users who do not want to spend so much time on HVAC maintenance but would like to lessen the amount of money needed for HVAC maintenance and care. If you feel unsatisfied with our work, you can cancel anytime. But, all our customers so far are very satisfied with our residential preventive maintenance. Try our service and you will see why we are considered one of the most professional and efficient HVAC maintenance companies in the region. Grab your phone and call us now and you will be the next happy customer with our service.